Description : It is the 12th April 1939. Sister Marguerite or to call her by her Japanese name, Kaku Yamakami, slowly climbs the “Bluff’ hill in Yokohama. A tiny figure, bent now by age, she is following the path that she has taken every evening for fifty years. For half a century, she set out every morning under the boiling summer heat or braving the harsh winter cold of Japan on her rounds of mercy, her days filled with teaching, consoling and encouraging those she went to visit. She would climb the hill today for the last time. She seemed to know this and went to lie down as if to prepare for her death. Yamagamisan was born on the 19th November 1863, in Hachioji, Tokyo. When she was 15 years old she was baptised with her whole family and she joined the Infant Jesus Sisters in Yokohama at 18. She was professed on the 19th March 1891 and faithfully lived her religious life as it was lived in those days, rising early to clean the chapel and attend Mass, praying her rosary and Way of the Cross, carrying out her duties in the community. Then she went outside to see what she could do for those who were sick, suffering or needy in any way. She often spent the whole day with these people, sometimes coming home late at night. She visited the hospital, spent time with married couples who were passing through a difficult phase, catechised and baptised. She also worked in a clinic that distributed Chinese medicine to people who were poor. Here, she had the reputation of being a real doctor! She gave the poor, sick people everything they needed, listening patiently to what they had to say, offering a word of counsel when it helped. Yamagamisan became known as “The God of the Mountain”, “Mother of the Poor and the Orphaned” so loved and revered was she by all and sundry. For years she worked side by side with that other indefatigable woman, Mother Mathilde, who built the orphanage called ‘Jinji Dou”. In 1880 Sumire School opened its doors to children from poor families. 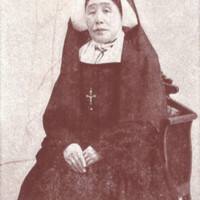 Yamagamisan worked in both the orphanage and the school. She took care of over 3,000 thousand children in all and kept in contact, writing their names in her famous family register’. Whenever she went out, she carried her notebook with the names of all those she had baptised, keeping a careful record of them, 5,678 in total! If ever any of her children were in difficulty they knew they could come ‘home’ to Yamagami and they would be welcomed. Référence bibliographique : Infant Jesus Sisters, From the Heart of God, Crawley, Infant Jesus Sisters, 2007. 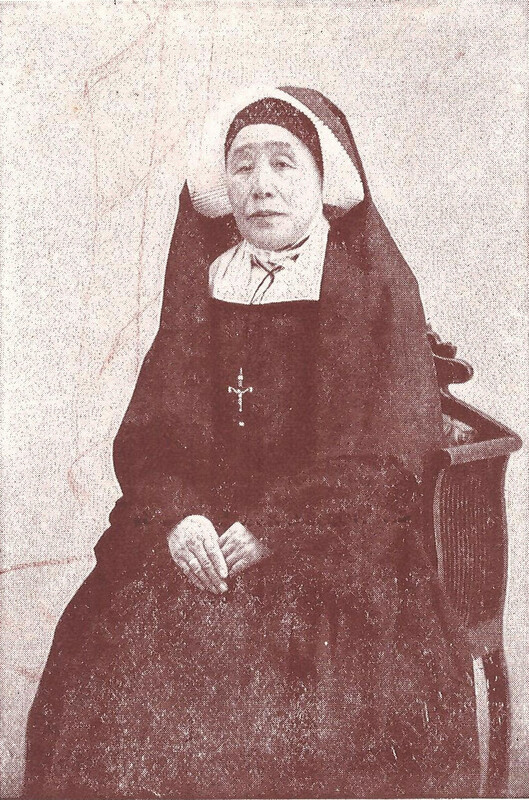 “Sister Marguerite YAMAGAMI (1863-1939) - English version,” Archives des Sœurs de l'Enfant Jésus-Nicolas Barré, consulté le 21 avril 2019, http://archives-ejnb.org/items/show/6742.